And knowing when and how to call 911. The Home Alone Boot Camp Program helps prepare children to begin staying home alone while their parents are at work or running errands. With many families needing both parents to work in order to provide for the family and the rising cost of after school care, it is becoming more and more common for families to decide to allow children to stay home alone for short periods of time before and after school. Give your kids the confidence they need to stay safe with the Home Alone Boot Camp Program from CPR Training School. Who is the Home Alone Boot Camp For? This program is designed for children aged 9 – 11 who are going to be staying at home by themselves. Many children are excited about staying home alone, but they may have a lot of questions about staying safe and taking care of themselves while parents are away. This program will help children feel good about having a routine in place to help them get home safely from school, complete homework, do chores, serve themselves a snack, entertain themselves and it will provide them with basic first aid skills that they can use to treat minor injuries while parents are away. What is Involved in the Training? CPR Training School is proud to provide the Home Alone Boot Camp Program to children to help them prepare for the responsibilities of staying home alone. The in-person training program provides children with an opportunity to hear how other children will handle being home alone, and using the student reference guide that is provided, children can write down what they learn and take it home with them. Basic first aid skills will be demonstrated and taught to help children manage minor emergencies on their own. A certificate of completion will be provided at the end of the course. How Long is the Training Program? 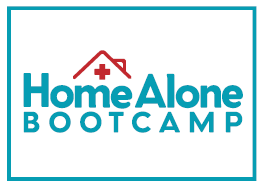 The Home Alone Boot Camp Program is a 4-hour training program that is delivered at our location in Alpharetta, Georgia. 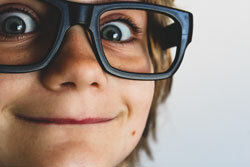 The online training program can be completed at your child’s leisure. Both the in-person and online training program will help children identify areas of concern so that they can address those concerns with their parents before they stay home by themselves. Children will have a chance to explore a variety of topic and skills that will help them be confident at home. For more information or to register your child for the Home Alone Boot Camp Program, contact us today.